Offering you a complete choice of products which include square jars with handle, hdpe wide mouth square jars, square jars, round jars, hdpe jars and square jars without handle. We are one of the widely acclaimed manufacturers and suppliers of Square Jars with Handle. The offered square jars with handle are commonly used for the packaging and shipment of materials such as cosmetics, chemicals, medicinal capsules and tablets. Our supplied square jars with handle are very rigid and sturdy constructs which are capable of protecting the enclosed goods from outer shocks and mechanical stresses. 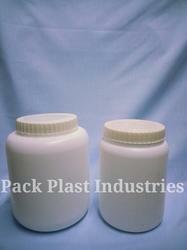 The manufactured supplied square jars with handle are available at very cost effective market rates. We feel proud to introduce ourselves as one of the well-known manufacturers and suppliers of HDPE Wide Mouth Square Jars. 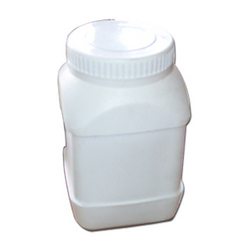 The offered high density polyethylene wide mouth square jars are very widely used for the packaging and shipment of materials such as capsules and medicinal tablets. Our manufactured high density polyethylene wide mouth square jars are quite rigid and strong, for ensuring long lasting serviceability. 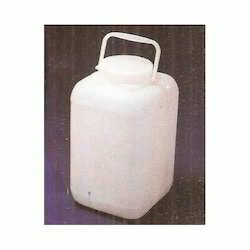 The supplied high density polyethylene wide mouth square jars are available at affordable market rates. We are one of the widely acclaimed manufacturers and suppliers of Square Jars. The offered square jars are fabricated from high density polyethylene material. Our supplied square jars are very commonly used for the storage of pharmaceutical drugs and tablets. The manufactured square jars are easy to fill and easy to store on the shelves. Our supplied square jars are designed appropriately for easy handling and storage. 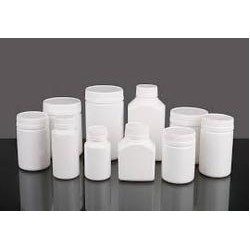 We are one of the well-known manufacturers and suppliers of HDPE Jars. 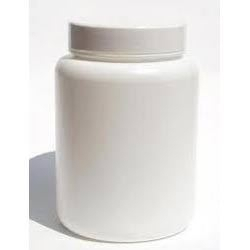 The offered high density polyethylene jars are very widely used for the packaging and shipment of materials such as medicinal tablets and capsules. Our supplied high density polyethylene jars are substantially rigid containers, which have a wide mouth for easy fill and empty operations. 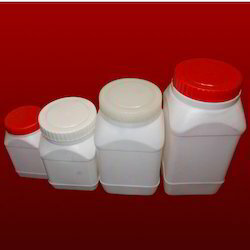 The manufactured high density polyethylene jars are very useful for the shipment of food, cosmetics, medicines and chemicals. We are one of the leading manufacturers and suppliers of Square Jars Without Handle. The offered square jars without handle are largely used for the packaging and shipment of materials such as chemicals, medicinal capsules, tablets and cosmetics. 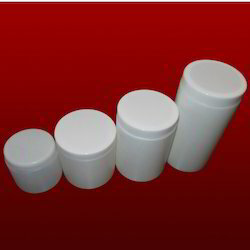 Our manufactured square jars without handle are acclaimed for wide mouth and broad base. The supplied square jars without handle are easy to keep on the shelves and storage platforms. Our manufactured square jars without handle are easy to fill and empty, due to the wide mouth. 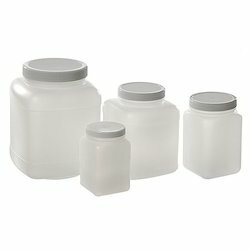 Looking for HDPE Jars ?